We talk to the collaborators about how they came up with such a cozy project. When we last checked in with Ace & Jig, they had just finished touring the Pacific coastline in the most adorable van! 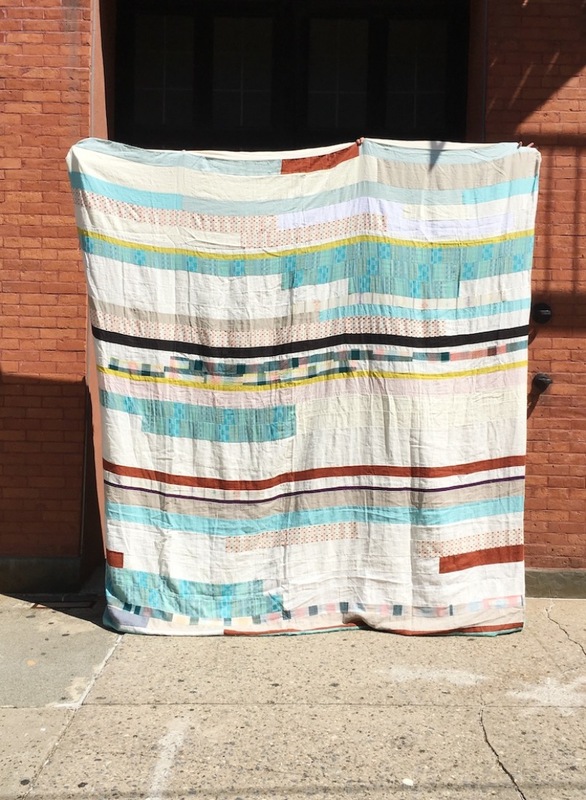 We’re delighted to catch up with them again for their ultra cozy collaboration with designer Lisa Dorr to create amazing, design-forward blankets. 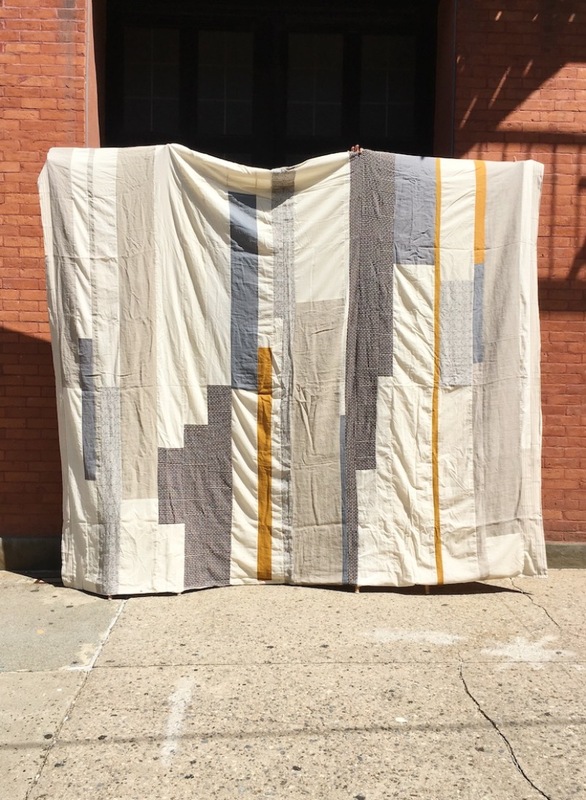 Cary Vaughan and Jenna Wilson, the design team behind Ace & Jig, and Lisa Dorr are both designers with a keen eye for textiles, so the collaboration couldn’t be more fitting or sensible. Plus it’s a way of combining the west coast vibe of Ace & Jig with the Blanket-centric sensibilities of Maine where Dorr is located. We were lucky enough to land an interview with all three of the designers! They tell us how they met and about their deep connection with blankets. And as with all things Ace & Jig, they remind us how important it is to them that what they make can become part of your life. It’s philosophy that handcrafter extraordinaire, Lisa Dorr, would almost certainly agree with. Jenna & Cary, How did this collaboration come to pass? 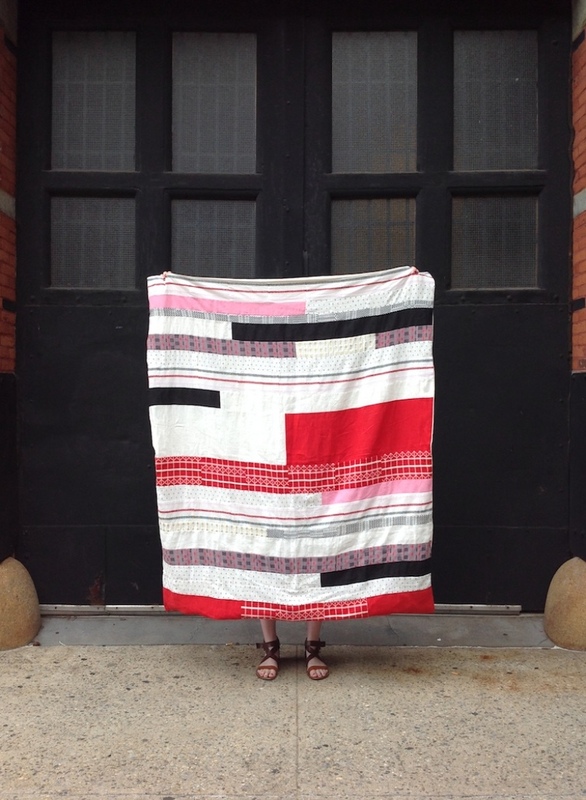 We’d known about Lisa Dorr’s designs and textile work but met her in person when Brooke from Judith in Maine connected us. She was so lovely, and her work was so unique, we knew we wanted to collaborate immediately! Jenna & Cary, are these the same Ace & Jig textiles from your clothing collection, or did you make special textiles for the collaboration? These blankets were made from leftover fabric from our past collections, in the spirit of our commitment to reducing textile waste. We do our best to make sure every last scrap of our custom fabrics finds some unique and beautiful use! 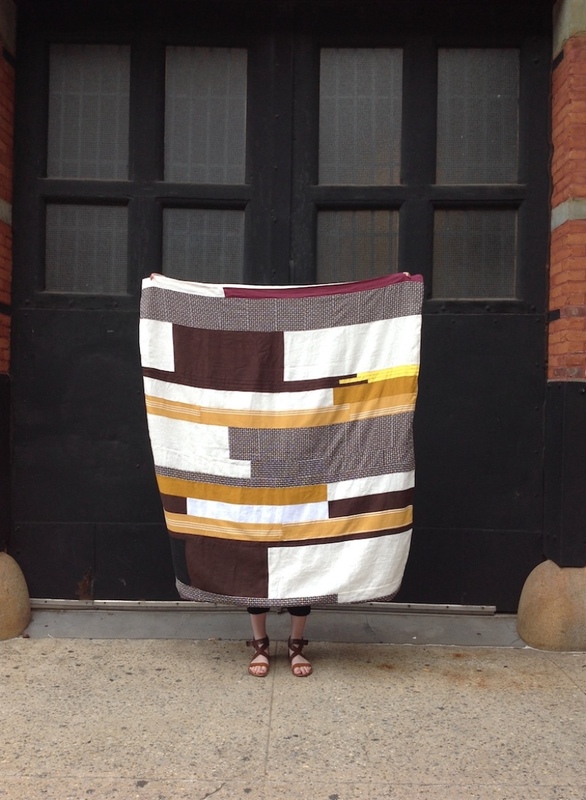 So each of these one-of-a-kind blanket includes fabric from many of our collections. Lisa, have you always lived in Maine? I imagine it has a rich tradition of blanket making. I have lived in many places around the country. I love where I live now the most. Freedom, Maine is a very small inland town. The landscape is rolling hills, and fields. There are many excellent farms producing organic vegetables, fruit, meats, dairy. I grew up going to Vinalhaven island, and my family still goes there. It is totally beautiful. I love both places! Yes! 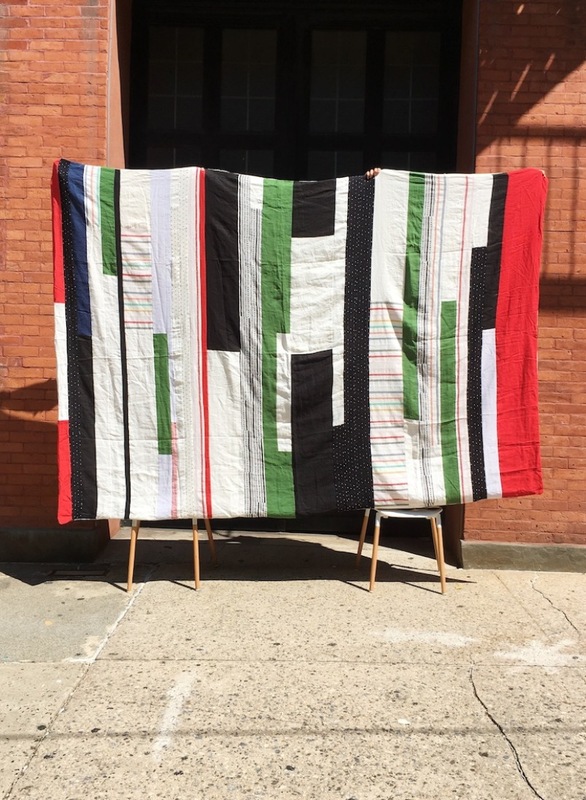 Making blankets, quilts … any kind of work with textiles and yarns is an activity that has not diminished in popularity. It seems like it has been going strong since the last ice age! Maine did have a thriving textile mill and manufacturing industry. It went the way of most things like that. Regardless of industry, people still make things on their own. We have a long, quiet winter which makes the making of warm things very attractive. I bet if you turned over a leaf you would find someone sewing a quilt under it. Like everything we design, we like to imagine these blankets will have multiple lives - kept as treasures for years and then passed on to a beloved. Lisa, I love the horizontal patterns on the blankets. How did you come up with this particular look for the blankets? To be honest, I really don’t know. I think it’s simply – i like stripes! The impetus was a birthday present for my sweetheart. I wanted to make him something, but didn’t feel confident about making clothes for him. So, simply looking around at all of the heaps of cloth I was hoarding the idea struck. Stripes! Blanket! That first one was enormous, and had a million colors, and weighed a thousand pounds. Making it was such a cool discovery. Each blanket I now make is just as interesting an experience as that first one. It was great to work with the Ace&Jig textiles – they are really beautiful. With them came the introduction of textiles with patterns! It was really interesting making those blankets. I love the process of finding the balance of what works, and what takes something too far, or too short. I guess it’s a “just right” discovery. But, what’s just right one day will change the next. 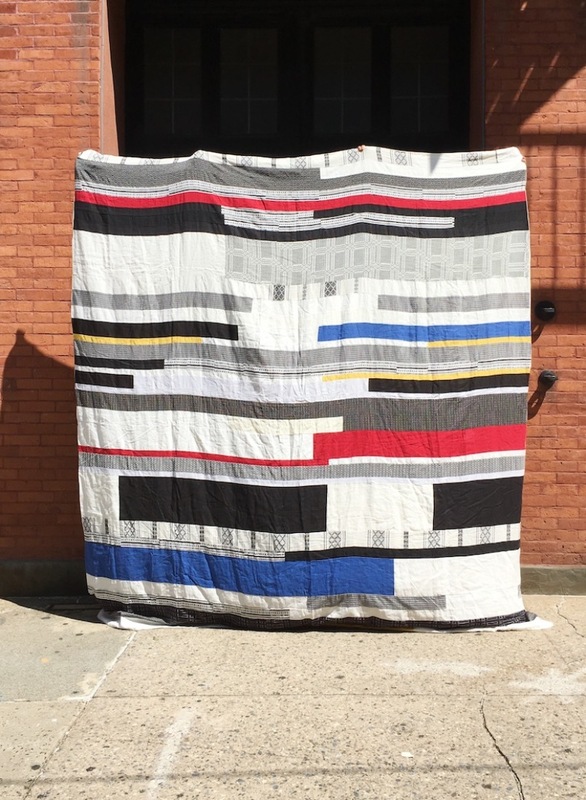 People have very deep connections with their blankets, especially in early childhood. What do blankets signify for you guys? Did any of you have special blanket growing up? Blankets remind us warmth and safety and history. Like everything we design, we like to imagine these blankets will have multiple lives – kept as treasures for years and then passed on to a beloved. So not only do the fabrics come with our history, they become a part of yours. Jenna & Cary, you both make clothing. How did you settle on blankets for your collaboration? We had seen blankets that Lisa had made for Judith, and we fell for her signature modern piecing. 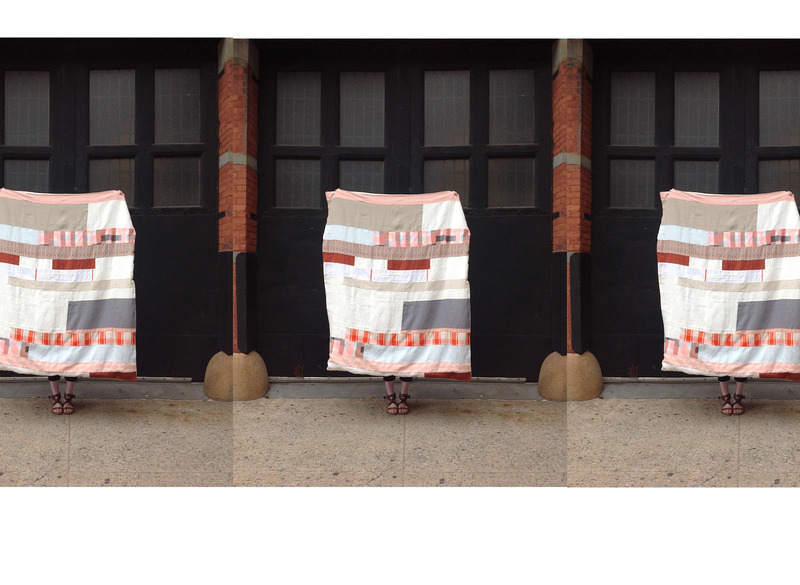 We couldn’t help but imagine these same shapes in our custom fabrics, so we brought the idea up to Lisa…et voila!